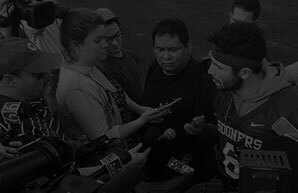 “Behind Baker” features an unprecedented look at the 2017 Heisman Trophy winner, Baker Mayfield. The series grants unlimited access to the journey of an elite college athlete as he fights for his place atop the NFL Draft. "To say that Baker Mayfield has a polarizing personality would be a huge understatement,” said Aaron West of Identifi. “When we set out to make this series, our number one goal was to tell compelling stories of inspirational athletes and entertain with exclusive access to experiences that most people have never seen. 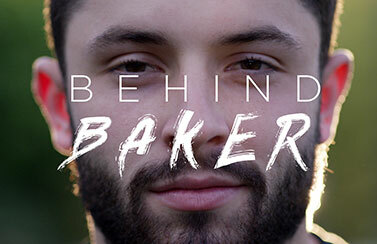 We found out that Baker is much more than the bravado we’ve all seen portrayed in the media. Baker’s story of perseverance as a defiant underdog is even more inspirational than even he imagined. Identifi jumped at the opportunity to tell this story because we think it’s one that transcends the sport of football. 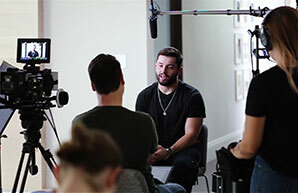 We’re thrilled Baker has chosen to share that powerful message with all of us and we are excited for viewers to see the real Baker Mayfield." Identifi partnered with Series Executive Producer, Michael Hayden, to bring Baker’s story to life. With over a decade of experience telling stories from the NFL to the UFC, Mr. Hayden was the ideal fit to mold Next Level’s inaugural run around the transcendent Baker Mayfield. The series is being launched with the support of ACE Media, the content arm of the NFL Players Association. The docu-series features interviews with Baker’s former Oklahoma coaches Bob Stoops and Lincoln Riley. The full-length trailer is available now and first full episode will be available on www.BehindBaker.com. Advance press screeners are available upon request. Additional series information, including behind-the-scenes content, is available on the Next Level: Behind Baker website, www.BehindBaker.com. Follow Next Level: Behind Baker on Facebook, Twitter and Instagram. First a standout as the starting quarterback for the Lake Travis High School Cavaliers football team, Baker began his college football career as a walk-on player for the Texas Tech Red Raiders. He is notable for being the first walk-on true freshman quarterback to start a season opener at a BCS school. Baker transferred from Texas Tech to Oklahoma where he ultimately won the starting quarterback job in 2015 over Cody Thomas and incumbent starter Trevor Knight. Baker was awarded the Heisman Trophy in 2017. Identifi is an innovative sports, talent and media company offering a bold style of full-service career management and representation for top athletes and entertainers. They are content creators with a management studio business model for the digital world, and a passion for data and technology. Next Level is the company’s first foray into storytelling with additional projects currently in development. Waterhouse Hayes is an LA based marketing, branding and public relations agency that specializes in creating and executing marketing from the ground up. Waterhouse Hayes instills a hands-on, athlete-centric approach, servicing each athlete's personal and business solutions that effectively build, develop and promote clients’ brands on and off the field.